Bitcoin is definitely the most well-known cryptocurrency. It represents the first application of blockchain technology and has been increasingly prevalent in the news over the past few years. But cryptocurrencies don’t just end at bitcoin. Soon after it was introduced, other coins followed, including litecoin, namecoin, and swiftcoin. 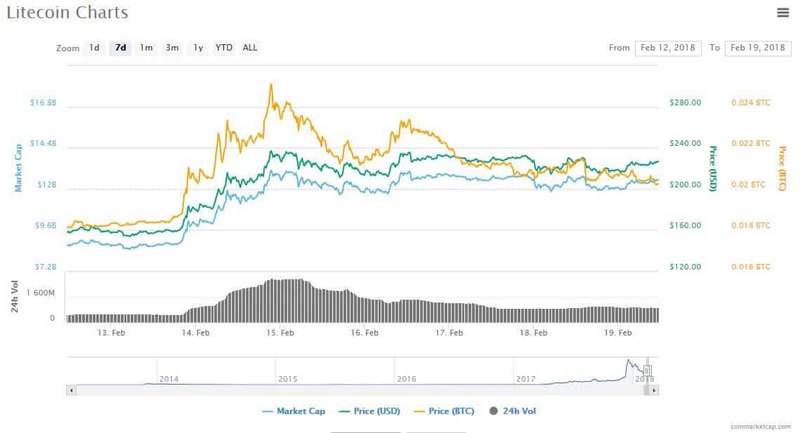 In fact, CoinMarketCap currently lists more than 1,500 cryptocurrencies. Since bitcoin was the first, others are considered alternatives and collectively known as altcoins. While some of these are very similar to bitcoin, others differ greatly. Some of the main areas of discrepancy include application, confirmation models, hash algorithms, level of decentralization, and privacy. In this post, we reveal 12 alternative cryptocurrencies that might be of interest. We’ll then explore the factors mentioned above and discuss investing in altcoins and ICOs. Let’s go! This list does not serve as a recommendation list for investment purposes. 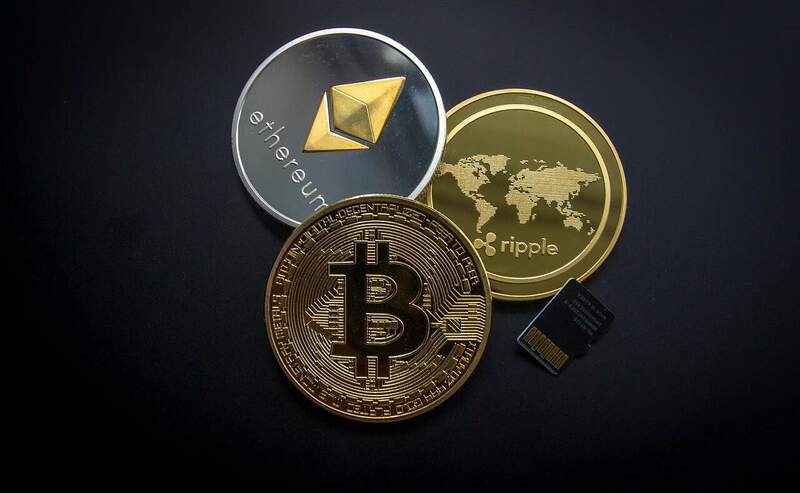 It merely serves to showcase some of the cryptocurrencies that are out there and some of their similarities and differences. A smart contract gives you the opportunity to create transactions based on the occurrence of another event. That is, a certain trigger causes an action to take place. This makes it applicable to a wide range of situations and helps overcome issues such as trust in other parties. You can essentially eliminate the middleman, making transactions faster, more secure, and less expensive. The ethereum mining process is similar to bitcoin’s and uses a PoW method, although the maintainers plan to shift to PoS in the near future. There is no cap on how much ether can exist, but the current mining limit is 18 million per year. Most major exchanges and brokers trade ethereum, so it’s relatively simple to get your hands on some. However, spending ether is a little more difficult as the development of ethereum commerce hasn’t been a focus of the network. While there are companies trying to make spending ether easier, such as through ethereum debit cards, in many cases you’ll have to convert it to another currency to be able to spend it. Ripple is classed as a cryptocurrency but is vastly different from bitcoin in several ways. The ripple token is actually referred to as XRP. One of the major differences is that this coin was founded by a private company, Ripple Labs, and has some big institutional investors. It is therefore regarded as more of a centralized currency. Another big difference is that transactions can occur instantaneously. Tens of thousands of transactions are possible per second as opposed to bitcoin’s limit of three per second. Plus, the fees are far lower than those of bitcoin transactions. These factors contribute to ripple being thought of as a more advanced option than bitcoin in terms of a global payment system. Finally, ripple is not mined like many other cryptocurrencies. It has a finite number (100 billion tokens) which were all released from the outset. Around 60% of these are thought to be owned by Ripple Labs themselves. If you want to own some ripple tokens yourself, you won’t find this one on Coinbase. There was speculation it could be the next addition to the platform after a recent survey, but this hasn’t been officially confirmed or denied. Plenty of other places sell Ripple, Bitstamp and Kraken being the most prominent choices. Bitcoin Cash is often a source of confusion, and it’s not just because its name starts with ‘bitcoin.’ This cryptocurrency is actually a fork of the original bitcoin (which is sometimes referred to as bitcoin core). In August, 2017, due to a disagreement among bitcoin community members, some decided to separate from the rest of the community. In doing so, they initiated what is dubbed a ‘hard fork,’ in which a new currency was created. Some bones of contention among members included the planned future of bitcoin and how to handle the network itself. As such, bitcoin cash has some fundamental differences to bitcoin, including the block size and verification process used. When the fork occurred, many members of the new bitcoin cash community were holders of bitcoin. As a result of the fork, all holders of bitcoin could claim the equivalent number of bitcoin cash tokens (while still holding onto their bitcoin). Some exchanges issued the bitcoin cash automatically for anyone who was holding bitcoin at the time. For those storing bitcoin in other wallets such as hardware wallets, a bit more work needs to be done to access the coins. However, if you owned bitcoin at the time of the fork, the equivalent bitcoin cash is yours. It’s just a case of accessing it, even now, and finding a wallet that will accept a bitcoin cash deposit. Bitcoin core has remained more popular than bitcoin cash, but the latter can still be found on many exchanges. It’s accepted as a form of payment by a relatively small number of merchants. The community is eagerly pushing its commercial application by way of the ”Accept Bitcoin Cash” initiative. Litecoin was one of the first cryptocurrencies to be developed after the release of bitcoin, launched in 2011. It claims a couple of large advantages over bitcoin, the major one being transaction speed. The litecoin network generates blocks much faster (about four times) than bitcoin. Therefore, transactions are validated more quickly and a higher volume can be processed. In total, 84 million litecoin tokens will be mined in comparison to bitcoin’s 21 million. It uses PoW similar to bitcoin but includes Scrypt as a hashing algorithm, which is designed to make the network more secure. Litecoin is very accessible on exchanges and is gaining traction as a form of payment. 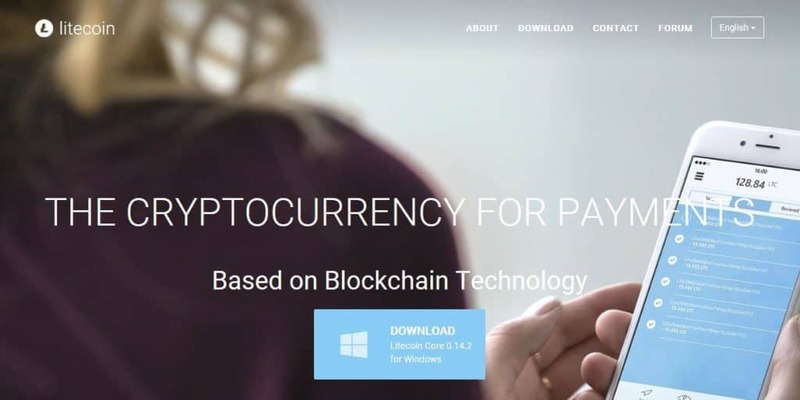 As mentioned, the announcement of LitePay has created a lot of buzz within the cryptocurrency field as a means to bring a coin into mainstream use. Cardano is a newer network and is similar to ethereum in that it enables the creation of smart contracts. Its layered architecture is designed to support the network’s focus on security. Many of its predecessors have had a steadfast focus on creating a decentralized currency, but cardano is a bit different. Its creators realize that the long-term adoption of a completely unregulated currency is improbable, if not impossible. As such, they’ve tried to find a middle ground between the principles of blockchain technology (privacy and decentralization) and the need for some level of regulation. Cardano is being built to have an inherent level of flexibility to withstand future changes. This is certainly a wise move and is something bitcoin is sometimes criticized for. The end product should be something that’s useful to end users and appeases regulators. This network claims to have a large focus on helping the developing world. Since some regions have particularly high barriers when it comes to transaction fees, the cardano network wants to utilize blockchain technology to help overcome them. Currently, only a few of the major exchange platforms offer cardano’s ADA tokens and it’s difficult to buy straight-up with fiat currency. The network has promised to make ADA more accessible by having ADA ATMs and debit cards. Stellar is often referred to as a hard fork of ripple, but this isn’t actually the case. It could instead be considered an offshoot. Jeb McCaleb, who founded ripple in 2011, left due to differences with board members. While he remained a hefty stakeholder in Ripple, he developed the stellar network in 2014. The units are called stellar lumens. The decentralized network is made up of dedicated servers across the globe. These power a distributed ledger, a copy of which resides on each server. The network essentially acts as a global currency exchange, enabling users to complete transactions far more quickly than traditional exchanges. The transactions are facilitated through the use of anchors. These are institutions such as banks and payment processors that issue credit to users. Although lumens are the token of the stellar network, they are not typically part of the currency exchange transactions. Their main use is in securing the network, but they are sometimes used as a bridge between less common currency pairs. NEO, originally called antshares, is a relatively new player in the market, having been founded in 2014. This network aims to realize a “smart economy” through digital assets, digital identity, and smart contracts. We talked about smart contracts earlier when discussing ethereum, so it’s no surprise that NEO has been dubbed the “Chinese ethereum.” NEO is fairly widely available on exchange sites but, like Ethereum, is not widely accepted as a form of payment. IOTA claims it will be the backbone of the ‘economy of things’, loosely described as a B2B version of the Internet of Things (IoT). In this sense, technological resources can be traded in transactions involving no fees. As such, it should enable transactions to occur that are currently prohibited by the barrier of fees, such as microtransactions involving very small amounts. The IOTA technology is still in its beta stage, but tokens can still be purchased on many exchanges. Dash was launched in 2014 and is known for its fast transaction speeds. While bitcoin transactions take ten minutes, dash transactions take just four seconds. Another notable thing about this altcoin is the way decisions are made within the network. Bitcoin has a unanimous rule, whereas dash uses a voting system so that big changes can be made quickly. The dash network operates two tiers: miners and ‘master nodes.’ The latter are responsible for carrying out transactions such as PrivateSend and InstantSend functions, as well as governance processes. PrivateSend is a privacy initiative that offers improved anonymity by mixing your coins with those of others. InstantSend, as its name suggests, enables near-instantaneous transactions. Dash is traded on plenty of exchanges and can be bought from some ATMs in the US. It’s even available at post office branches in Austria alongside bitcoin, litecoin, and ether. For spending, not many retailers accept dash directly, but it can be used through many payment networks and debit cards, such as SpectroCoin. Monero had a pretty convoluted beginning as a fork of the “shady” bytecoin. Not necessarily related to that fact, five of monero’s seven developers have decided to remain anonymous. This network is based on traditional blockchain technology with a new block being mined every two minutes. One celebrated difference of monero is that, unlike bitcoin, it is fungible. This means it’s not traceable like bitcoin, which has a couple of effects. First, individual tokens can’t lose their value based on their involvement in past transactions, as has been a problem with bitcoin. In addition, fungibility offers more anonymity to transaction participants. To achieve this, the network issues “stealth addresses” and lumps transactions together, making them very difficult to trace. 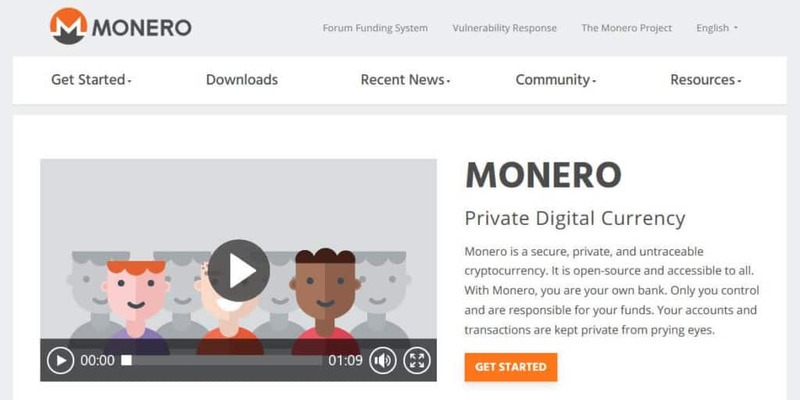 Monero’s focus on improved anonymity certainly has some positives, but it could also be encouragement for use by criminals. Indeed, some reports have linked monero to the 2017 WannaCry ransomware attack. It’s also making the news for its increasing popularity within darknet marketplaces. Other than improved privacy, monero addresses some of the usability issues inherent with bitcoin by utilizing penalties for excess block sizes. Monero can easily be traded for other cryptocurrencies like bitcoin on exchanges but cannot be paid for directly with fiat currencies. It’s definitely not as widely accepted as a form of payment as others on the list, but some merchants do take monero. ZCash claims to offer a more secure alternative to bitcoin. Its “zero-knowledge” ledger system means that two people exchanging funds don’t need to know each other’s identities. Instead of identities and amounts, the ledger only shows that a transaction took place. Although ZCash seems to have promise, there is skepticism among the crypto community about the strength of its underlying protocol. ZCash is fairly accessible in exchange for other cryptocurrencies but can’t be purchased with fiat currencies. Originally created as a joke, dogecoin’s huge success has been a surprise to many. It was named after a meme featuring a Japanese dog (doge). As was paved by its inception, dogecoin’s main appeal over bitcoin is its ability to reach the masses. Of course, one of the huge hurdles (and indeed validators) for any cryptocurrency is their widespread adoption. Proponents claim dogecoin is well-equipped to take on this challenge with its hip, fun image. This network uses the PoW model and Scrypt hashing algorithm. The coin production schedule of dogecoin is much faster than that of bitcoins with 100 billion coins being released by 2015. Dogecoin is far less accessible than bitcoin but is available on some exchanges. However, if you have another cryptocurrency to trade, you won’t have a problem exchanging it for dogecoin on coin-only exchanges. Aside from the financial considerations of historical value and market cap, which we won’t get into here, there are some practical factors you might want to consider. Some will carry more weight than others depending on how you plan to use altcoins, for example, everyday spending or a potential long-term investment. A common selling feature of altcoins is the speed with which transactions can be completed. For example, a bitcoin transaction should typically take around 10 minutes, the time it takes to mine a block. Although, it can take a lot longer with a couple of factors at play. One is the transaction fee. Miners, who are paid the transaction fee, actually have a choice as to whether to include a particular transaction in a block. This means that the amount of the fee could determine whether it is included or not. If the fee is too low, the transaction could take days to be confirmed, or even just end up getting stuck. 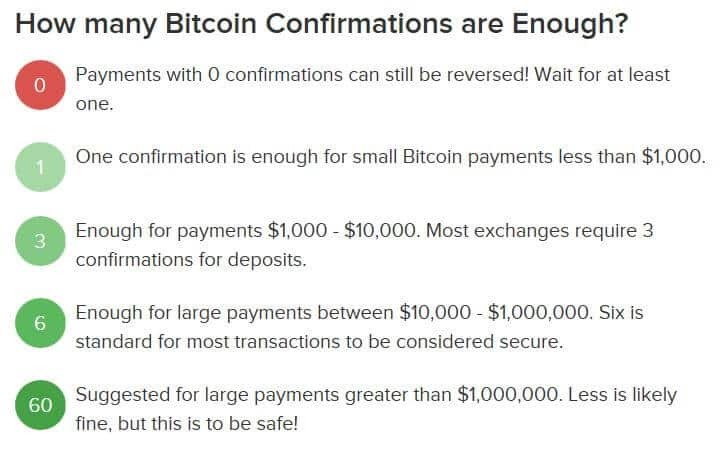 Another factor that can slow down some bitcoin transactions is the number of confirmations required. The first confirmation for a transaction happens when the block it’s in is added to the chain. Each block added thereafter is considered an additional confirmation of that transaction. Typically, the higher the transaction amount, the more confirmations required. Some merchants may stipulate more confirmations before a transaction is considered complete. BuyBitcoinWorldwide offers this general guide to the number of confirmations typically required. An institution may require three subsequent blocks be added on top of the block your transaction is in. If a block is added every ten minutes, instead of taking the ten minutes it takes to add your block, it will take 30 minutes (3 blocks x 10 minutes) before your transaction is confirmed. One of the major goals of some altcoins is to reduce these transaction times and avoid lengthy delays. For example, litecoin blocks are mined about four times faster than bitcoin blocks. This is already a significant improvement, but it becomes increasingly so as more confirmations are required. It’s becoming easier to buy a wide variety of altcoins,in exchange for fiat currency or other cryptocurrencies. However, it can sometimes be difficult to get your hands on certain coins. Some exchanges only deal in cryptocurrencies, so you may have to do some shifting of funds between platforms before you’re able to buy what you want. This is sometimes further complicated by the fact that exchanges will have different rules depending on which country you’re in. 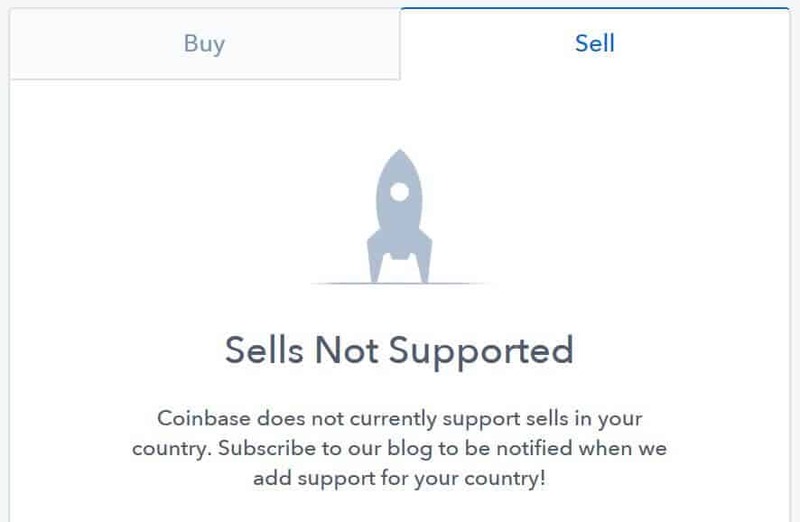 Coinbase doesn’t support the selling of cryptocurrency for residents of Australia or Canada making it an impractical option for many users in these countries. If you want something that is easy to buy and sell on multiple platforms, you might have to go for one of the more established altcoins like bitcoin cash, ethereum, or litecoin. If you’re looking to buy one of the more obscure coins, just be sure to plot your method before putting money into exchanges. They charge fees for transactions so you’ll need to do some research to make sure you use the most cost-efficient route to buying that coin. Along the same lines, if you plan on paying for goods or services using altcoins, you’ll have to look at how widespread their acceptance is. Bitcoin is by far the most widely accepted cryptocurrency today, but it is actually seeing a decline in use. Lengthy transaction times and high fees are reportedly to blame. This opens the door for altcoins to trump bitcoin in these areas and build their respective commercial applications. Indeed, it looks like litecoin is already well on its way to offering a mainstream and convenient payment method through the recently announced LitePay. Cryptocurrency debit cards are nothing new and many offerings enable you to pay via bitcoin and other cryptocurrencies. It may seem like all of this is only really important if you’re looking for an altcoin that you can use frequently for day-to-day transactions. However, even if you’re simply looking at it from an investment perspective, the recent jump in litecoin value after the LitePay announcement is a strong indicator that ease-of-use is a major factor in perceived value. This CoinMarketCap chart shows the jump in litecoin value after the February 14th Litepay announcement. It’s worth noting that even though many altcoins aren’t accepted directly by merchants, plenty of companies accept them through coin payment gateways. While companies like BitPay are specific to bitcoin, others enable merchants to accept altcoins too. For example, popular coin exchange Coinbase offers a payment gateway. In this case, it doesn’t matter which coins you have stored in your coinbase wallets, any of them can be used to pay a merchant that accepts payments through the platform. Bear in mind that companies are popping up all the time that aim to make accepting and spending cryptocurrencies easier. At the same time, the prospect of increasing regulation from governments could limit these applications or shut them down altogether. Like many aspects of cryptocurrency, there really is just no telling exactly where things are headed in this regard. The system used to verify transactions and add them to the ledger is different for each coin. This will certainly be a factor to consider if you’re looking to mine coins, but it also affects security and some other aspects, such as decentralization. Most of the more well-known networks either use a Proof of Work (PoW) or Proof of Stake (PoS) model or a combination of both. To put it very simply, instead of miners competing to add blocks to the chain, PoS involves the selection of a block creator, known as a validator. They are chosen based on their stake in the network and are paid transaction fees but do not receive a block reward. Overall, PoS is a far more efficient method than PoW, requiring less energy input. It is arguably more secure although may have more potential to become centralized. Some complain that a flaw in the PoS model is that it facilitates the rich getting richer and the poor poorer. Bitcoin has been criticized for not offering the security and privacy you’d hope for. As such, some of the main selling points of some altcoins are their increased security and privacy. Some of those boasting superior measures to bitcoin are monero and ZCash. Some areas where altcoins claim to improve are hashing algorithm and systems used, anonymity, and fungibility. The latter basically means that each of the coin’s unit are interchangeable, and don’t have a particular history tied to them. Lack of fungibility has been an issue with bitcoin. Aside from improvements in these areas, you also have special features within some networks, such as the PrivateSend function of dash that mixes coins from different users. Choosing the most private and secure coins is not always black and white. For example, many will argue that the PoW model is more secure than PoS, but others believe the opposite. Indeed, both sides put forth solid arguments. If you do want to invest in any of these cryptocurrencies, here are some things you may want to bear in mind. This is an extremely volatile market and any investment should be considered high risk. You should definitely do your research and find out about the team behind each coin, as well as its potential applications. There are lots of resources available to view how coins are doing in the overall market. The value of each coin doesn’t mean as much as its overall market cap does. You should always watch out for shady operations. Do your research on an exchange or any other cryptocurrency-related platform before handing your money (or coins) over. Even with reputable exchanges, there is the danger of all of your money going missing. It’s prudent to take advice with a grain of salt when it comes to what will happen in the market. People who have invested in a particular coin will be biased. If you’re investing in large amounts, it’s a good idea to consider a secure wallet, for example, a hardware wallet such as a Ledger or TREZOR. Coin exchanges are okay for small amounts, but a software wallet is more secure, and a hardware one even more so. Since we’re talking about altcoin investments, we’d be remiss not to mention Initial Coin Offerings (ICOs), which you’ve probably heard about in the news. These essentially involve crowdfunding for new coins, except the backers typically expect a return on their investment. Unlike a company Initial Public Offering (IPO), the coin literally has no value until people start showing interest. To persuade investors, the cryptocurrency startup will produce a whitepaper outlining the project, including details about security, systems, applications, token distribution, and so on. Investors front fiat or cryptocurrency in exchange for coins (also known as tokens), which can be compared to IPO shares. The estimated amount raised from ICOs last year was over $3.5 billion, including a couple that topped $200 million each. This year, things are only getting bigger, as messaging company Telegram reaches its first milestone of $850 million on its way to a hopeful $2 billion valuation. Forbes is calling this particular ICO a scam, and this is not an uncommon accusation within the industry. While this instance is certainly debatable, there are many scammers (intentional or not) out there when it comes to ICOs. In fact, the term “ICO exit” scam has become fairly commonplace in news reports. This exit scam involves creators hyping up their new coin so that investors start buying in and the price increases. The creators hold a significant amount of the coin and simply dump it when the time’s right, causing the value to plummet, and leaving investors dry. Some of the biggest scams so far have been PlexCoin ($15 million), Benebit ($2.7 million), and the aptly named PonziCoin ($250,000). As with any investment in the cryptocurrency market, it’s important to do your homework before jumping in.